Many I2C sensors will contain basic information located in the first 24 register addresses. Mindsensors devices have the firmware version number in the first 8 registers (x00-x07), vendor identification in the next 8 (x08-x0F), and device identification in the next (x10-x17). This information can be very helpful when troubleshooting communication issues. Follow the steps below to view the information using the "Explorer" pograms. Download the Explorer program for NXT here. 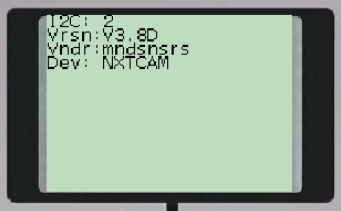 Open the NXT-G software and start a new program. Make sure your NXT brick is connected and click the memory tab. Click Download, select Explorer.rxe, and click OK. Attach your I2C device to sensor port 1. You should see a result similar to the picture below. Download the Mindsensors I2C Address ID and Mindsensors Read 8 Bytes blocks. Install them into your EV3 programming environment using the instructions found here. 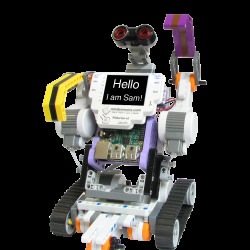 Open the program in your EV3 programming environment. Run the program on your EV3 or NXT brick.